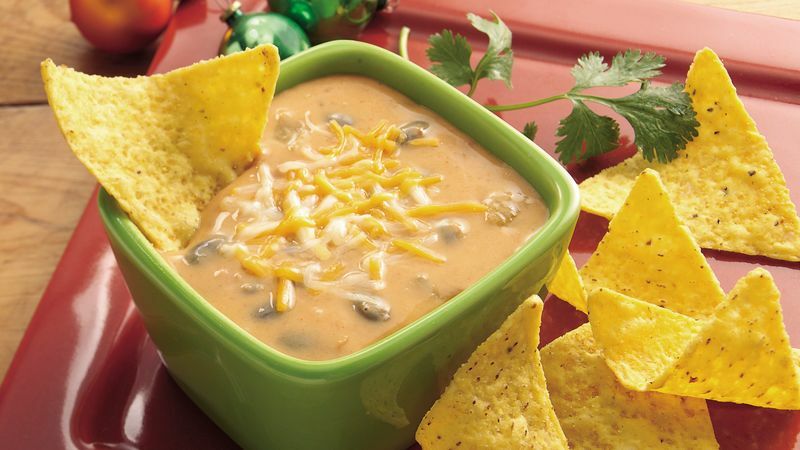 In 3 1/2- to 4-quart slow cooker, mix all ingredients except shredded cheese and corn chips. Cover and cook on Low heat setting 3 to 4 hours, stirring after 2 hours, until cheese is melted. Scrape down side of slow cooker with rubber spatula to help prevent edge of dip from scorching. Sprinkle with shredded cheese. Serve with tortilla chips. Dip will hold on Low heat setting up to 2 hours. This dip definitely serves a crowd. If you're serving just a few, use the leftovers to make a great burrito.